Hanwant B. Singh received his Ph. D. from the University of Pittsburgh (1972) and B. Tech from the Indian Institute of Technology Delhi (1968), both in Chemical Engineering. 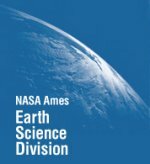 He has studied the composition and chemistry of the atmosphere for the past 25 years and has published more than 200 scientific papers and one textbook in this area. His primary research goal is to better understand the impact of human activities on the chemistry and climate of the earth's atmosphere through direct observations and data analysis. He has designed and led major international field campaigns towards this goal. He heads a group of atmospheric scientists at the NASA Ames Research Center and is a former Director of Atmospheric Chemistry laboratory at SRI International. He is the recipient of the Frank A. 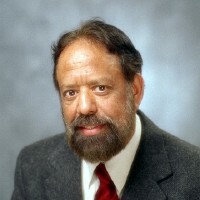 Chambers Award for "outstanding achievement in the art and science of air pollution," the NASA Exceptional Scientific/Leadership Achievement Medals (1998, 2005, 2009), the H. J. Allen Prize, is a Fellow of the American Geophysical Union, Distinguished Alumni of the Indian Institute of Technology, Delhi, and is on the ISI list of 25 most cited authors in Geosciences. He is also the Editor-in-Chief of the international journal Atmospheric Environment and a Fellow of the World Innovative Foundation.